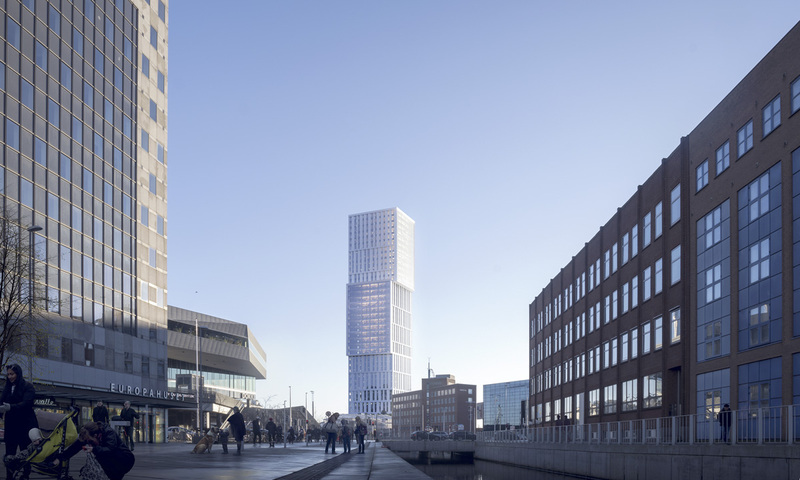 The project will be the highest building in Aarhus – the city where everything really kicked of for C.F. Møller back in 1931 with the University of Aarhus. The plan is to have this new project completed within five years. The property developer Olav de Linde and C.F. 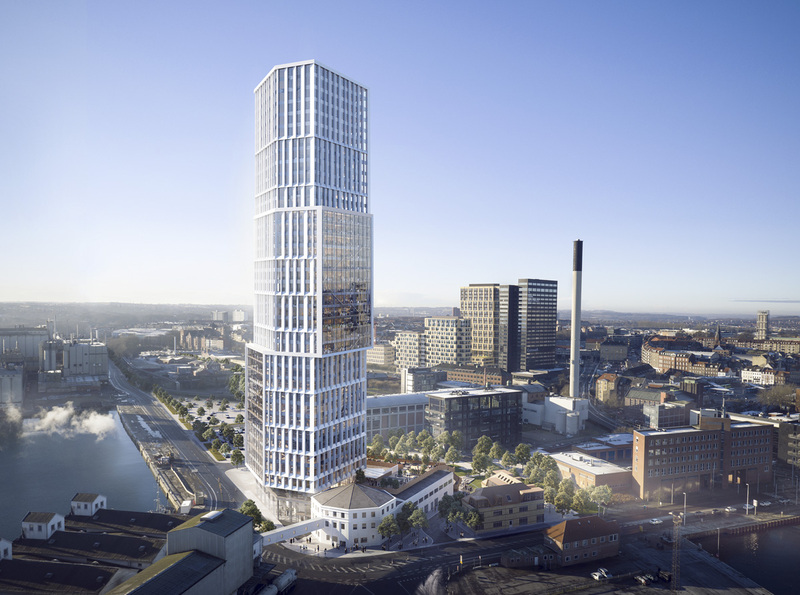 Møller Architects have published plans for a 144-metre tall office building close to the Port of Aarhus. Appearing as a bright sculptural landmark, it will welcome city life into an active public realm with new cultural, retail and business amenities. Across the world, former industrial port areas are becoming transformed into new city neighbourhoods, often with striking buildings and new recreational spaces for city residents. 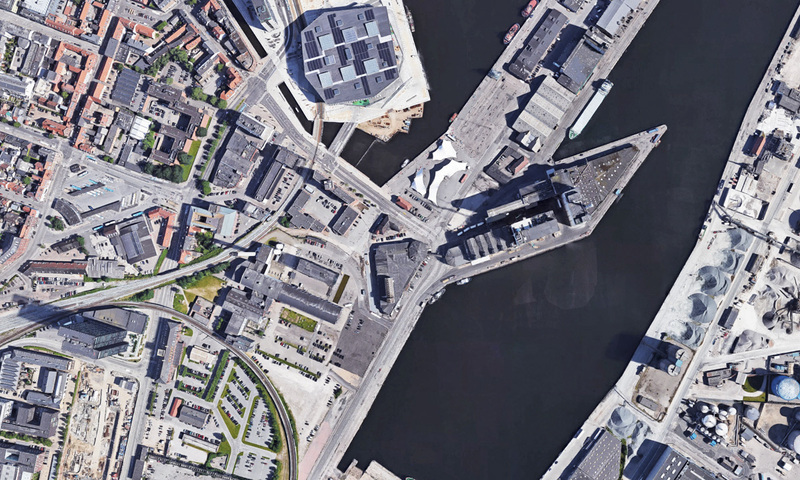 Aarhus is no exception, considering the rapid development of its port area. 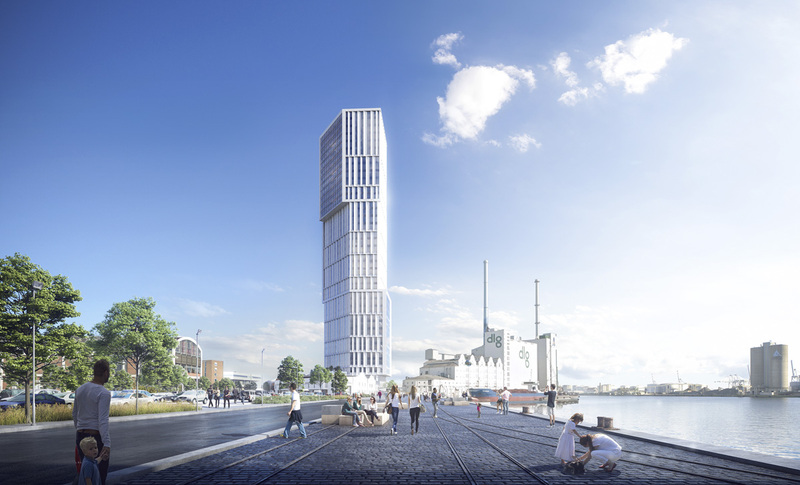 The property developer Olav de Linde and C.F. 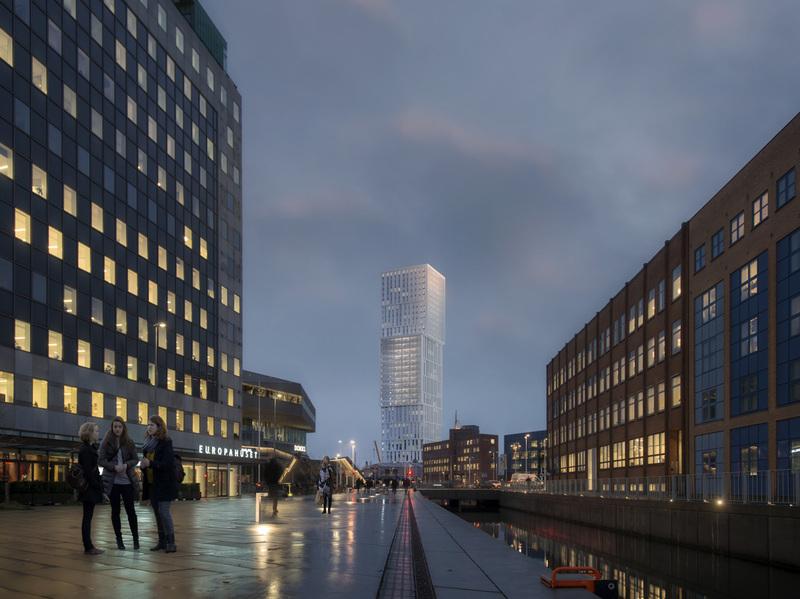 Møller Architects have published plans for a new business tower at the address Mindet 6 in the Aarhus harbour district. Currently the site holds an existing industrial complex, a legacy of the port’s history and former industry. The impressive structure will be preserved and a new tower will become integrated into the existing complex. The tower’s basic geometry originates from the existing building, as it looks to unite both the new and the old in an urban and architectural context. The intrinsic historical qualities of the existing building will be enthusiastically retained, yet also reinterpreted to allow the building to open up more towards its surroundings, to create a greater connection between indoor and outdoor spaces. 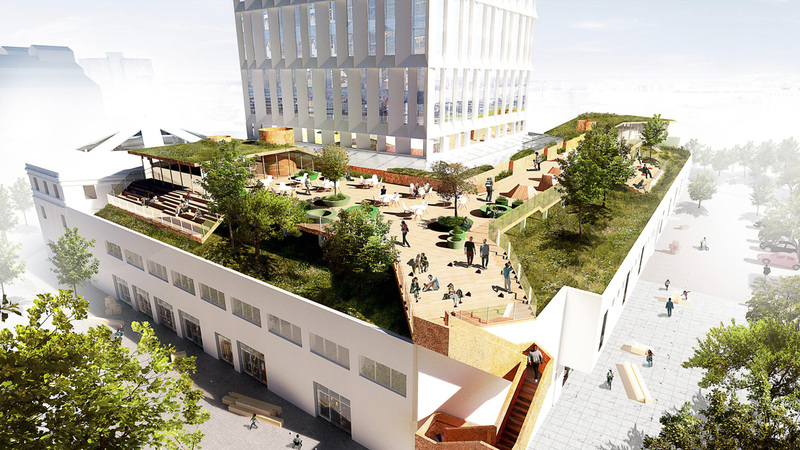 On the roof of the existing complex, a new, publicly accessible rooftop garden is included in the proposals, alongside a restaurant, orangery and kitchen garden. “It has been important for us to develop the old building and open it up, to create a vibrant new area in the port for all city residents. 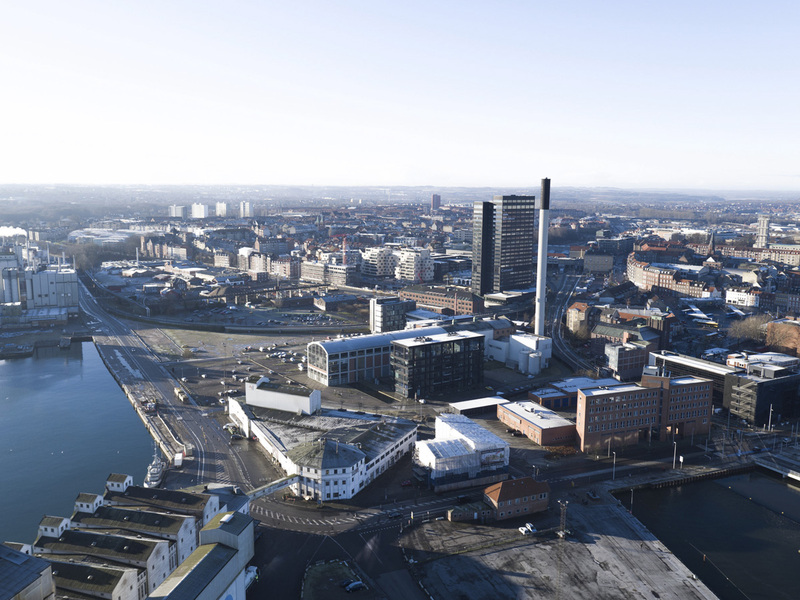 The project will create a new entrepreneurial and green environment in Aarhus, as part of the city’s new recreational belt stretching all the way from the port to Marselisborg Forest. 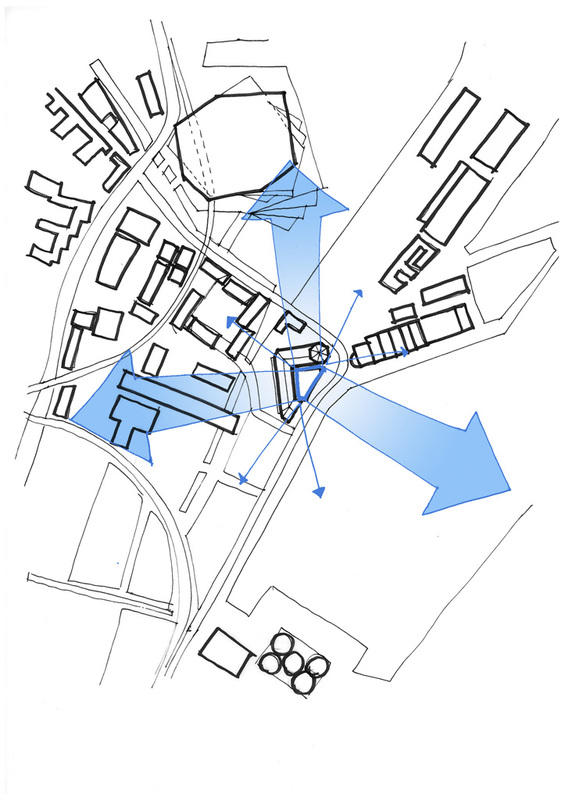 In this way, we are combining the new and the old, the city and the landscape, and residents and business”. The tower itself is designed as a bright and slender sculptural landmark, contributing vertical green foyers to both the building users and city skyline. The façades are layered to create a spatial relief in light terrazzo, which is shaped to mirror the sun’s orientation. The façade design focuses primarily on ensuring optimum daylight conditions, attractive views out and a healthy indoor climate. With its three cantilevering vertical foyers, the building’s geometry is multi-oriented, with characterful and textural layering on multiple scales. The location’s potential, with its proximity to the city and the sea, favourable daylight conditions and natural outlook, forms an ideal backdrop for a very special atmosphere, ensuring a unique project that is clearly anchored in the site’s industrial history. 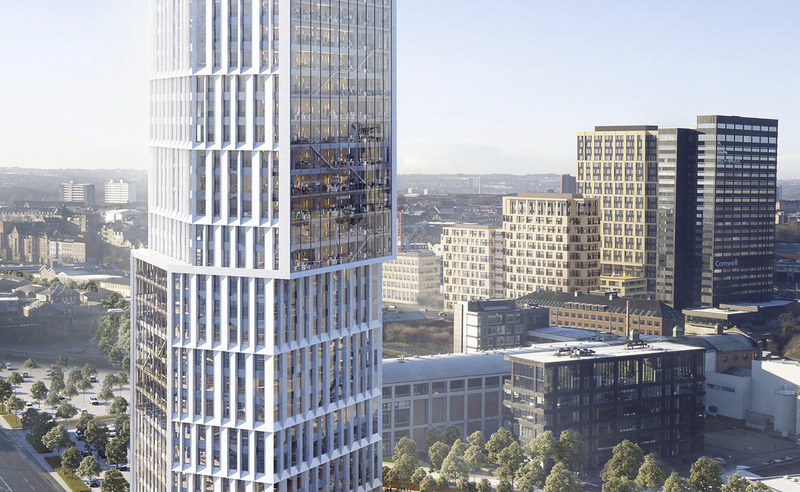 “Our idea and vision has been to create a bright and slender tower that is fully integrated with the existing structure on site. The building is oriented to all sides and, from 360 degrees, appears open and welcoming. This looks to appeal to both building users and city residents, by weaving the old and the new together, with ‘openness’ as the unifying thread. The high degree of public access will make the project a significant catalyst in combining both urban and professional activities”. 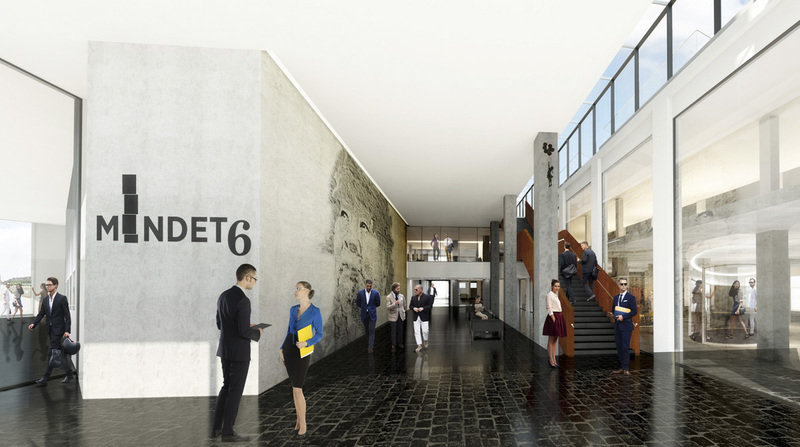 Mindet 6 will thus constitute a significant future urban landmark for Aarhus. 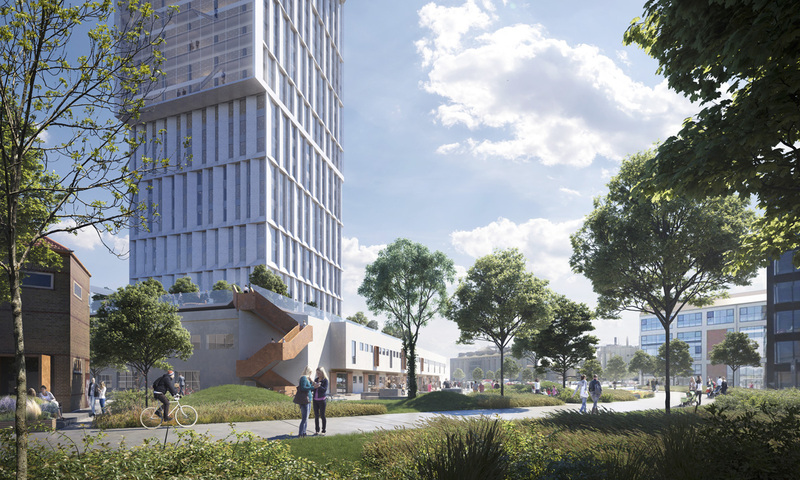 Currently, the project has been submitted to the City of Aarhus’ planning department for consultation, and it is hoped that construction can commence in around 18 months’ time.